Polly Alexander integrates the concepts of Tensegrity Medicine in her Bowenwork practice creating balance in mind and body. She works with clients to treat injury, overuse, and long term chronic muscle pain. She particularly enjoys working with those who seek to calm the mind as well as the body. Helping clients with relaxation techniques provides relief from anxiety, insomnia, and other ill effects of our high-stress lives. Her office is situated conveniently one block from the streetcar stop at NW Marshall and 23rd St,. in the heart of Portland’s Alphabet District. When not working with her clients, Polly helps train medical students and other health professional students in communication and interpersonal skills. 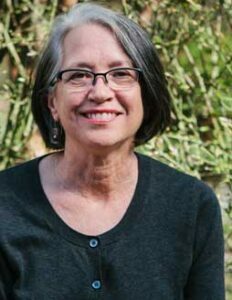 She is an avid birder and loves exploring Oregon’s natural beauty.